Tech Mahindra, a leading provider of digital transformation, and IT based services and solutions hosted Nirmaan 2018, a ‘Campus Connect Program’, at its research & development arm - Makers Lab facility in Pune, to provide upskilling opportunities in next gen technologies to students. The aim of the program is to support the digital transformation journey of India by encouraging student-industry collaboration to build smart machines of the future. 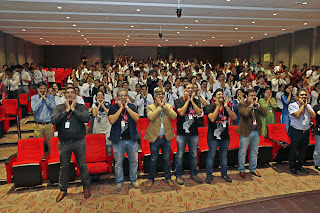 More than 250 students across universities and institutes, including - Symbiosis Institute of Technology (Pune), AISSMS Institute of Information Technology (Pune), Bharathi Vidyapeeth (Pune), Jawaharlal Nehru Engineering College (Aurangabad) and Changu Kana Thakur College (Mumbai) participated in the event. 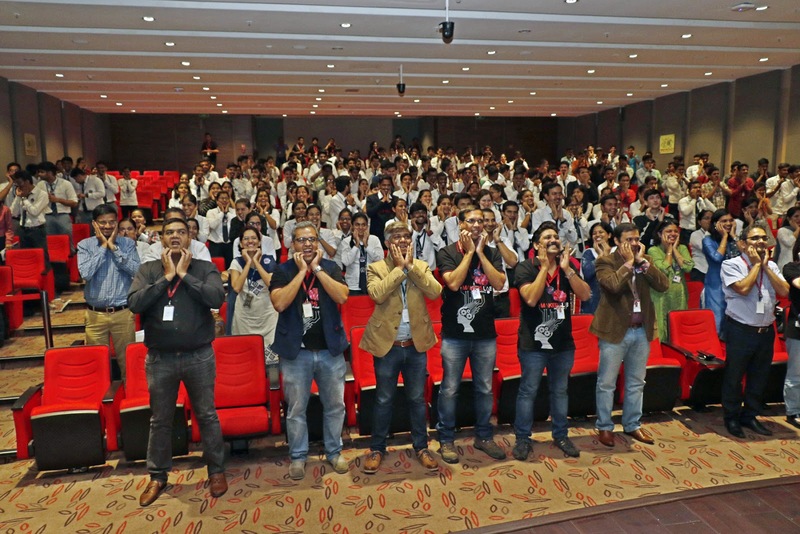 The students also got a firsthand experience of how customer-centric innovation is carried out in Tech Mahindra’s Makers lab using next generation technologies like Artificial Intelligence, Internet of Things, Augmented Reality/ Virtual Reality, Business Intelligence, Robotics. Through the Campus Connect program, Tech Mahindra reaches out to leading educational institutions across the globe, and offers 6 – 8 months internship opportunities and summer projects lasting for 6-8 weeks to well performing students, at Tech Mahindra’s various facilities and innovation hubs. The program also includes TEDX sessions, Campus Lectures, Remote Sessions, HACKathons, IDEAthons as well as research on crowd sourcing solutions for Smart Cities, Sustainability – food, habitat, climate, connected homes, education and entertainment. Tech Mahindra is also collaborating with educational institutes to define, design and deliver AI, ML, AR / VR syllabus sessions, and educating students on design thinking and start-up competitions. Makers Lab organizes guest lectures, workshops, field visits and internships for the student community round the year. Tech Mahindra has seven Makers Lab R&D centres globally – UK, US, Germany and India (across four locations Pune, Chennai, Hyderabad and Bengaluru).The Maker’s Lab is a research & development hub for co-innovation of solutions and services of the future with customers, partner companies, research institutions, universities, and start-ups.